A free database aims to help researchers better understand how specific metabolites relate to one another, which could potentially lead to personalised disease treatments. Researchers in Japan have created a database of metabolites from blood samples collected from over 5,000 Japanese volunteers, making it freely available online as a valuable resource for researchers around the world. Metabolites and proteins control many of the processes inside our bodies, and also inform the interaction between our cells and their surroundings. Understanding these compounds and how they relate to each other more, could help researchers to evaluate the health state of people and develop new personalised treatments for various diseases. The database, which bioinformatics scientist Shu Tadaka from Tohoku University and his colleagues called jMorp, contains information about 306 metabolites and 256 common proteins found in humans. This includes their frequency, concentration, and how often they appeared in males or females and at what age. 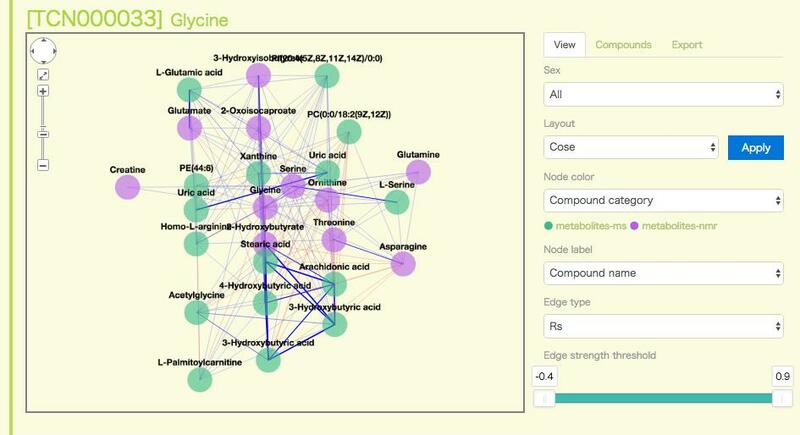 The database is unique in that, instead of just displaying raw data, it offers visitors a chance to see how the different metabolites correlate to each other graphically, paving the way for further studies to identify how these metabolites and proteins relate to each other. The database is able to map the correlation of the different metabolites, offering visitors further research opportunities. Similar databases cover other countries or regions, such as the United Kingdom and the Republic of Ireland, but some have limitations due to inconsistent data collection or small sample size. The large number of healthy individuals who contributed samples to jMorp makes it particularly useful. The researchers also collected and analysed data using the same method and at the same institute, which minimizes measurement errors. In addition, they took extra measures to exclude any low-quality samples and to ensure quality control throughout the processes of collecting, storing and analysing the plasma samples. These make jMorp especially reliable as a resource for scientists, especially biochemists and medical researchers. To make it relevant and useful to other researchers, the Japanese team have setup jMorp in a user-friendly format that allows visitors to reach the data they need easily, as well as pull up comparisons and relationships between different compounds displayed visually. Users can search for the type of compound they are looking for either by name or specifications. The summary of the data can be downloaded and correlation graphs can be saved as image files. The database is an ongoing effort and the researchers produce updated annual versions as they collect and analyse more samples. They also plan to offer more insight about the metabolites and proteins they document by applying new methods of analysis. Japanese Multi Omics Reference Panel "jMorp"